A homemade and healthier version of an old homegrown favourite! Especially good with cheese or ham, our chutney is free of refined sugars and very tasty. Top, tail and string your beans if necessary. Slice into 2-3cm chunks. Put all the ingredients in a slow cooker and cook on high for 6hrs. Turn down to low and continue cooking for another 10hrs until sticky and chutney-like! If cooking on the hob, use a big pan. Place all the ingredients in the pan and bring to the boil. Turn down the heat and simmer gently for around 1 1/2 hours. Prepare your jars and lids by sterilising with boiling water. Decant the chutney into the jars and seal whilst still hot. Leave to cool before storing somewhere cool and dark. 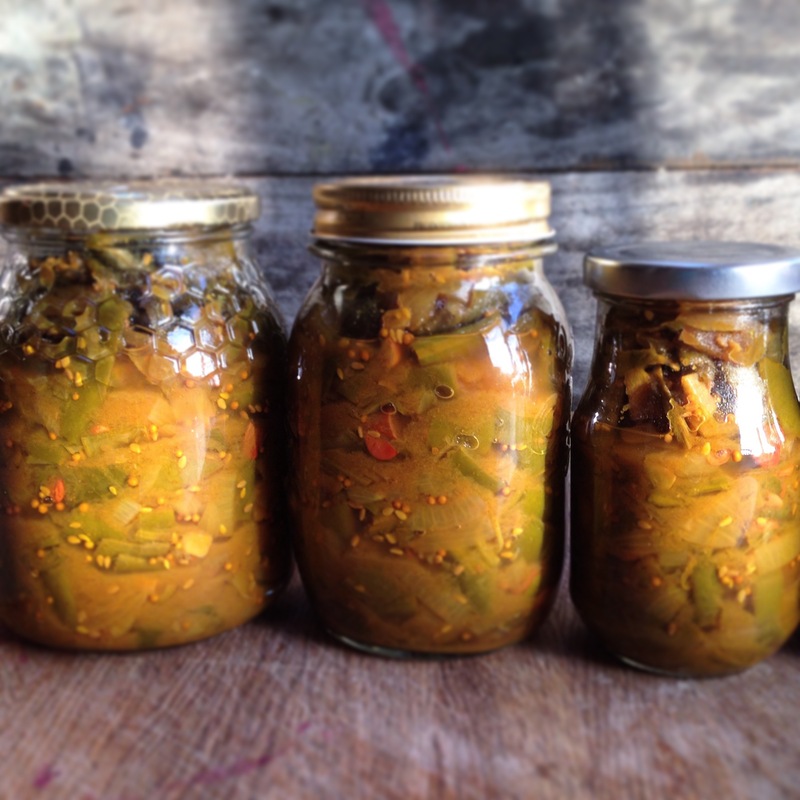 Your chutney will last for at least 6 months. 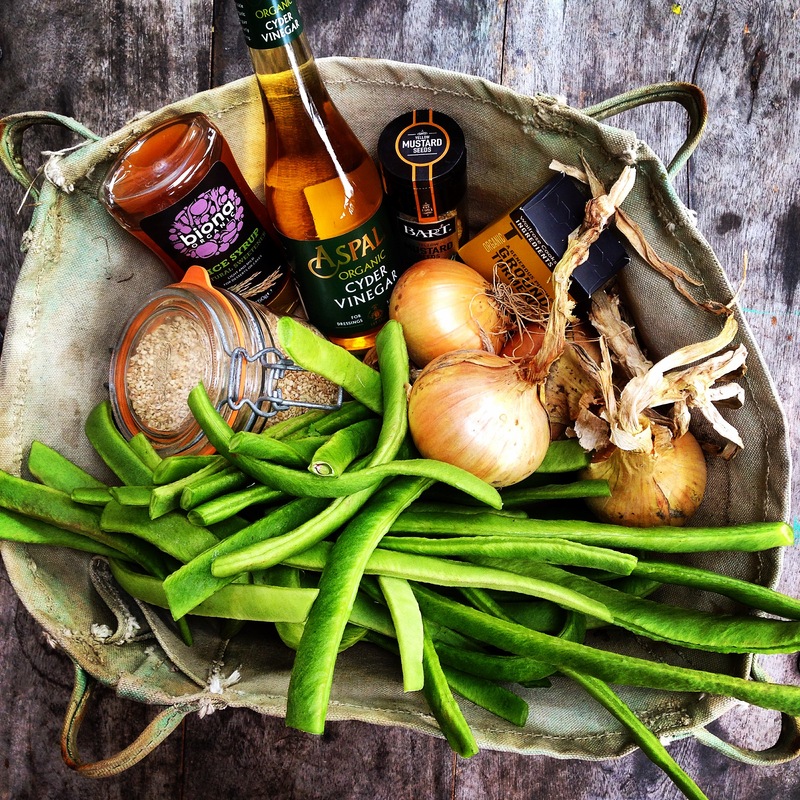 I have heard of lots of different Chutneys but never even thought of Green Beans, what a good idea. I love my Cheese and Ham so cant wait to try it and I love the idea of no refined Sugars. I’m definitely going to try this recipe Kate along with the Energy Bites from your new book which has arrived in the post. Yum!